Nordic Service group offers courses for the various product types. As an example, training courses can include electrical safety testing. 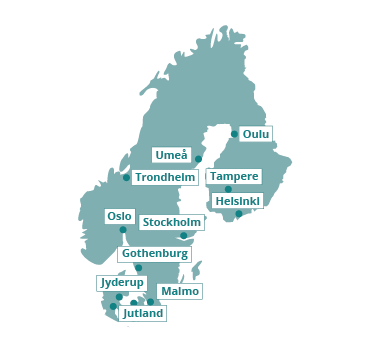 Courses can be held at a neutral site, at your location or at Nordic Service Group’s facilities. Please contact us for more information. We have learned that the ideal group size is between 10 and 15 participants. This ensures a high training quality with good communication. Our courses are highly practical. At first our experts focus on basic theory. We do this to ensure that everyone has a grasp of the fundamentals. The main parts of the courses are based on the practical understanding and implementation of the tests. Courses on specific product groups are also set up on request. Fluke Biomedical also offers web seminars. For further information, please visit Fluke Biomedical’s homepage.